Swagbucks Swago is back! 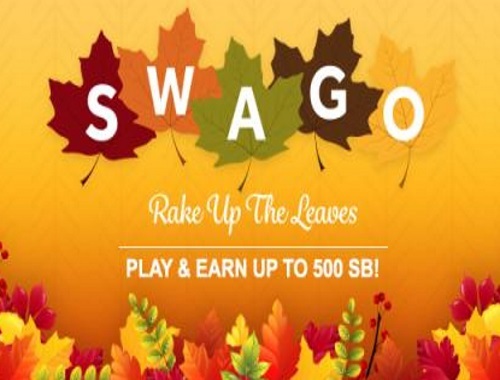 The digital rewards site Swagbucks is celebrating the fall with another big "Swago" promotion starting Monday, October 9 at 9am PDT! Swago is just like bingo, but in this case you're filling out squares as you earn points on their site for doing things you already do online. If you're thinking of trying Swagbucks, this is a great chance to learn all about how the site works and earn bonus points while doing it, meaning you can get more gift cards faster. You have until 12pm PT/3pm ET on Monday, October 16 to mark off as many squares as possible so use your time wisely. The Spin & Win Wheel will be available all throughout Swago and you have until 11:59pm PT on Monday, October 16 to use all your spins.